getcalc.com's Voltage Drop Calculator is an online electrical engineering tool to estimate potential difference change due to impedance change of an electrical circuit. 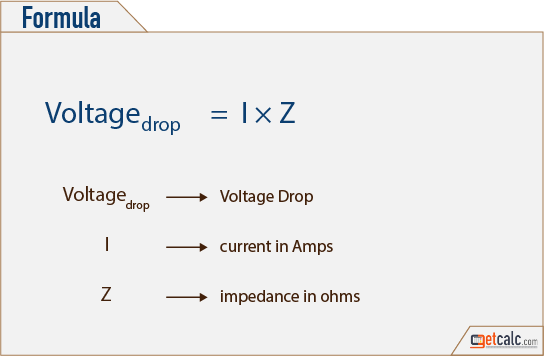 Voltage Drop is an effect of reduction in voltage due to the circuit impedance. Increasing resistance or impedance proportionally reduce the voltage in electrical circuits.